Being a girl freakin’ rocks! But despite all the opportunities available to girls today, the fight for equality and self esteem continues. 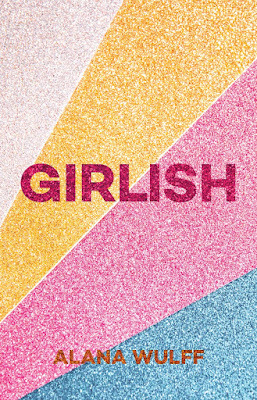 Filled with information, inspiration, truth bombs and surprises, Girlish is a fun filled self led discovery course in feminism for teenage girls. 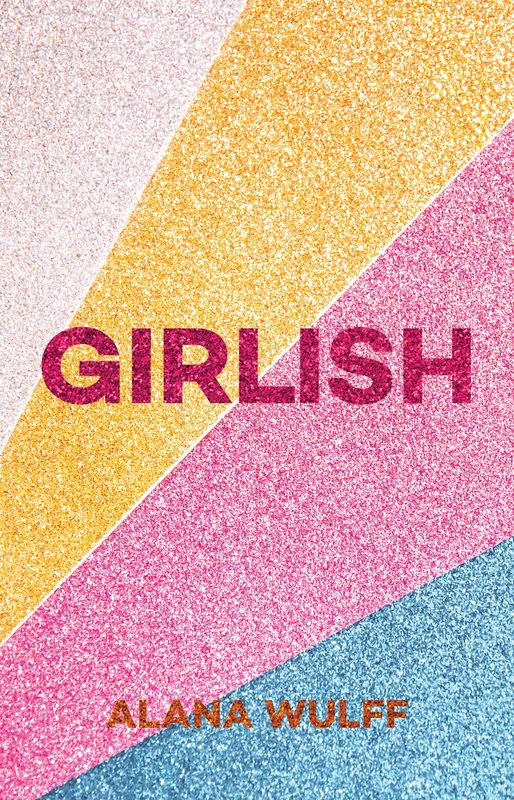 Embracing all the beauty, chaos, hope and frustration of being a girl in the twenty first century, Girlish encourages the reader to celebrate who they are, define their values and have fun along the way. With a playful design, illustrations by Frances Cannon, and featuring quotes from inspiring women from all walks of life, such as Michelle Obama, Amy Poehler, Roxane Gay and Lorde, Girlish is the perfect gift for any teenage girl. An interactive celebration of inspirational women, activists, feminists and intersectionality through education and empowerment. Dedicated to the loud and proud members of an ever growing and on going movement against inequality, sexism and oppression. Girls, you are seen and you are heard. And you are awesome. During our adolescent years can be disenfranchising and empowering as a female. Young women are acclimatising to their environments and discovering who they are as young women, their sexuality, appearance and demeanour. Female popular culture icons Beyoncé Knowles Carter and Demi Lovato, inspirational women Emma Watson, Michelle Obama, Maya Angelou and activists Malala Yousafzai reinforce intersectionally and the protection of transgender, queer and females of colour by reiterating the importance of language and communication. Exploring the advancement of feminism from suffrage, libation, white feminism to contemporary gender equality and the inclusion of intersectionality. Throughout history, women of all ages, races and religions have fiercely battled against inequality and discrimination. They gave their blood, sweat and tears for the rights of women to vote, work, own land, run companies and do what we want with our bodies. For the right to make our own choices about our lives. Featuring Australian women of influence, politicians, Indigenous Australian women and female athletes, it encourages young women to create resolutions, to challenge preconceptions and stereotypes thorough interactive activities, also touching upon the male role in supporting women. Girlish is an empowered and wonderfully composed interactive experience for young women. It's brilliant Vanessa and a great introduction to feminism for early teens. I saw this popping up in my feed but wasn't sure what it was about. I'm glad it's so broad and covers so many types of Girl Power and intersectionality. It's a wonderful read Karen, I especially enjoyed how young women can interact with the journal at their own pace. This sounds like such a great book for for teenage girls, especially! Thanks for sharing. It truly is Lauren, a wonderful guide for young women looking for empowerment and to learn about intersectionality and gender equality. I'm glad books like this exist :) when I was growing up, all we had were 'fun, how to be a girl!' guides and they were stupid. 'don't do this, be like this' ugh. So many people seem to not understand what feminism is about these days. It basically was wasn't it. Or girls were babysitters, their mothers nurses and while these are great storylines it's so important to promote gender equality and women in what society sees as traditional male roles as well. It also promotes intersectional feminism and the inclusion of transgender, queer and females of colour. Often feminist themed reads focus on white feminism but this was magnificent. I couldn't agree more Sarah, such a wonderful, positive publication for young women. Sounds like a truly inspiring book!! It's wonderful Nicole, an inspiring read. Can this be mandatory in schools? Bc I seriously wish it was in mine -- it sounds glorious! It would we wonderful Verushka and it's interactive! The journal style presentation allows girls especially, to empower themselves and I love that! This sounds like a fantastic read. The kind of book every girl should have to read because feminism isn't a bad thing and inspiring girls to empower themselves is essential. I love that this book exists. It's brilliant isn't it and it's never too young for girls to learn about self love and acceptance, inclusion and intersectionality.